Music soothes our body, mind, and soul. This powerful tool can make us feel lonely, happy, agitated, or excited with just a few songs. Whatever your age is, there will be a rhythm or song fit for you. 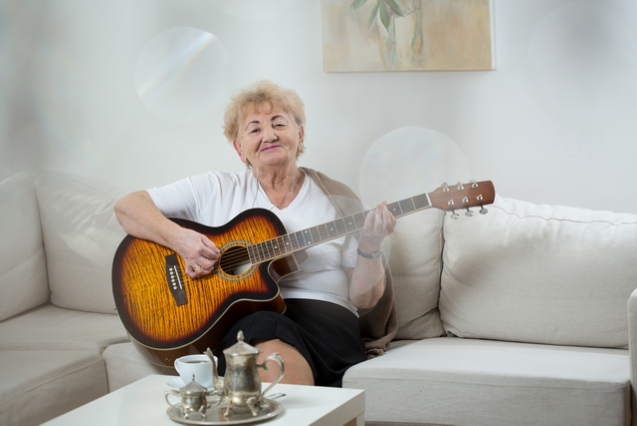 For this reason, senior citizens are encouraged to listen to music. Even if our days are just isolated at home and we already need help from a Health Care Agency in Ohio because of a condition which made us physically limited, we can always choose to listen to music as a hobby. Do you know how music benefits us? When we reach sixty or seventy, we might not have enough drive to meet with friends, play sports, exercise or talk to anyone. Sometimes, we would just love to sit in our room and think. But despite this being our own choice, we might still feel bored at times. So during moments like this, we can turn to listening to music. Isolation has become prevalent among senior citizens. And because of this isolation, many older adults end up with depression which has resulted to worse conditions. Nonetheless, putting music in our lives could change that. Even if we choose to be alone, if we opt to listen to lively music, the songs could shift our sad thoughts into happy ones. Have you ever experienced listening to lively music then suddenly you felt like you wanted to dance? The sound of percussion, coupled with a lively tune from other instruments, motivates our body to dance to its rhythm. Once we listen to upbeat music, we feel like dancing even if we are not really good at it. Through listening to music, our nerves easily calm down. When we hear soothing tunes an hour before we go to bed, we tend to imagine happy thoughts and reminisce fun memories. Hence, we get better dreams and quality sleep at night. We might not have many opportunities to use our minds when we turn sixty. Because we often stay at home with our providers of Personal Care Services in Cleveland, Ohio, our minds stay stagnant; and this can cause memory loss. However, listening to good music could be our chance to exercise our minds and keep our brains agile. With music in our lives, we can improve our mental sharpness and memory. Music can be advantageous in many ways. So if you haven’t tried listening to music, ask your care provider from Ontime Home Health Care Staffing Agency LLC to make you a playlist you can listen to every day. This entry was posted in Senior Care and tagged brainshealth, hobbies, keeping away boredom, motivation, music, Seniors. Bookmark the permalink.